We've tried to keep the jargon to a minimum but sometimes it is necessary to give a full and factual account of the information available. 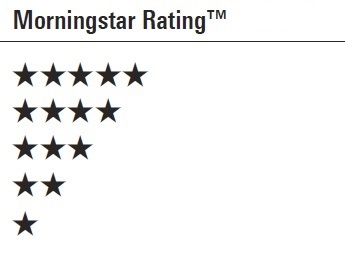 To help you understand the various ratings at play, the following tabs should help. For general investment terms feel free to use our Jargon glossary. The Investment Association (formerly the Investment Management Association) is the trade association for UK-based investment management industry. Their role is to promote high standards within the industry and represent the interests of the industry to governments and regulators both in the UK and internationally. They also publish and commission research into various aspects in this area. 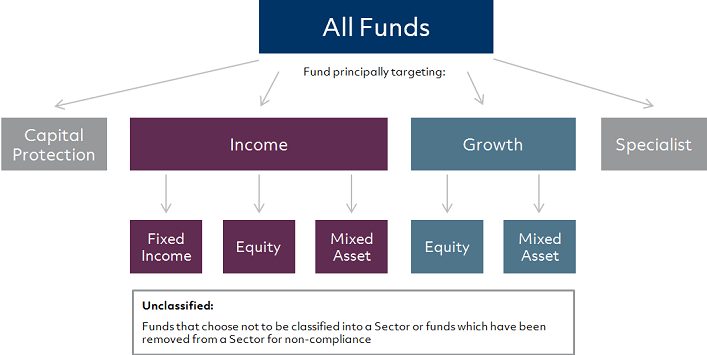 The IA maintains a system of classifying Funds by sector, designed to help investors and advisers. Funds in these sectors are regularly monitored for compliance with sector definitions, and oversight of the system is led by an industry committee, the Sectors Committee. Looking at sectors will not inform you about the relative risk of Funds. The Key Investor Information Document (KIID) of any Fund should always be read. What is suitable or even best for you depends on your personal circumstances and not merely the sector classification. The chart below shows how the sectors fit together. It should help you to understand the broad focus of different groups of Funds, such as whether they aim to produce income or capital growth. Many of the sectors also have a geographic focus. Click on any of the IA sector groupings below and the list of sectors will be filtered to that grouping. The full list of IA sectors are shown below and you can click on any of the sectors to read a description of each. Funds in this group invest in short-term money market instruments and Cash to more rigid guidelines than Funds in the Money Market sector. Funds which invest their assets in money market instruments and comply with the definition of a ‘Money Market’ Fund set out in the COLL Sourcebook. Funds, other than money market Funds, which principally aim to provide a return of a set amount of capital back to the investor (either explicitly protected or via an investment strategy highly likely to achieve this objective) plus the potential for some investment return. Funds which invest at least 95% of their assets in sterling denominated (or hedged back to sterling) government backed securities, with a rating the same or higher than that of the UK, with at least 80% invested in UK government securities (Gilts). Funds which invest at least 95% of their assets in sterling denominated (or hedged back to sterling) government backed index linked securities, with a rating the same or higher than that of the UK, with at least 80% invested in UK Index Linked Gilts. Funds which invest at least 80% of their assets in Sterling denominated (or hedged back to Sterling), Triple BBB minus or above corporate bond securities (as measured by Standard & Poors or an equivalent external rating agency). This excludes convertibles, preference Shares and Permanent Interest Bearing Shares (PIBs). Funds which invest at least 80% of their assets in Sterling denominated (or hedged back to Sterling) fixed interest securities. This excludes convertibles, preference Shares and Permanent Interest Bearing Shares (PIBs). At any point in time the Asset Allocation of these Funds could theoretically place the Fund in one of the other Fixed Interest sectors. The Funds will remain in this sector on these occasions since it is the Manager's stated intention to retain the right to invest across the Sterling fixed interest credit risk spectrum. Funds which invest at least 80% of their assets in Sterling denominated (or hedged back to Sterling) below BBB minus fixed interest securities (as measured by Standard and Poors or an equivalent external rating agency). This includes unrated bonds but excludes convertibles, preference Shares and permanent interest bearing Shares (PIBs). Funds which invest at least 80% of their assets in fixed interest securities. All Funds which contain more than 80% fixed interest investments are to be classified under this heading regardless of the fact that they may have more than 80% in a particular geographic sector, unless that geographic area is the UK or Global Emerging Markets (GEM), when the Fund should be classified under the relevant UK (Sterling) or GEM heading. This sector has a wide range of Funds which invest in bonds and currencies across geographic area with differing characteristics. Funds which invest at least 80% of their assets in emerging market bonds as defined by a recognised Global Emerging Markets Bond index. Funds must be diversified by geographic region. Funds which invest at least 80% in UK equities and which intend to achieve a historic yield on the distributable income in excess of 110% of the FTSE All Share yield at the Fund's year end. Funds which invest at least 80% of their assets globally in equities. Funds must be diversified by geographical region and intend to achieve a historic yield on the distributable income in excess of 110% of the MSCI World Index yield at the Fund’s year end. Funds which invest at least 80% of their assets in the UK, between 20% and 80% in UK fixed interest securities and between 20% and 80% in UK equities. These Funds aim to have a yield in excess of 120% of the FTSE All Share Index. Funds which invest at least 80% of their assets in Japanese equities. Funds which invest at least 80% of their assets in Japanese equities of companies which form the bottom 30% by market capitalisation. Funds which invest at least 80% of their assets directly or indirectly in equities of the People's Republic of China, Hong Kong or Taiwan. Funds may invest in one or more of the countries. Funds which invest at least 80% of their assets in Asia Pacific equities including a Japanese content. The Japanese content must make up less than 80% of assets. Funds which invest at least 80% of their assets in Asia Pacific equities and exclude Japanese securities. Funds which invest a least 80% of their assets in North American equities of companies which form the bottom 20% by market capitalisation. Funds which invest at least 80% of their assets in European equities. They may include UK equities, but these must not exceed 80% of the Fund's assets. Funds which invest at least 80% of their assets in European equities of companies which form the bottom 20% by market capitalisation in the European market. They may include UK equities, but these must not exceed 80% or the Fund's assets. (‘Europe' includes all countries in the MSCI/FTSE pan European indices). Funds which invest at least 80% of their assets globally in equities. Funds must be diversified by geographic region. Funds which invest 80% or more of their assets in equities from emerging market countries as defined by the relevant FTSE or MSCI Emerging Markets and Frontier indices. The maximum frontier equity exposure is restricted to 20% of the total Fund. Funds in this sector are required to have a range of different investments. Up to 35% of the Fund can be invested in company Shares (equities). At least 45% of the Fund must be in fixed income investments (for example, corporate and government bonds) and/or “Cash” investments. “Cash” can include investments such as current account Cash, short-term fixed income investments and certificates of deposit. Funds in this sector are required to have a range of different investments. The Fund must have between 20% and 60% invested in company Shares (equities). At least 30% of the Fund must be in fixed income investments (for example, corporate and government bonds) and/or “Cash” investments. “Cash” can include investments such as current account Cash, short-term fixed income investments and certificates of deposit. Funds in this sector are required to have a range of different investments. However, there is scope for Funds to have a high proportion in company Shares (equities). The Fund must have between 40% and 85% invested in company Shares. The Funds in this sector are expected to have a range of different investments. However, the Fund Manager has significant flexibility over what to invest in. There is no minimum or maximum requirement for investment in company Shares (equities) and there is scope for Funds to have a high proportion of Shares. The manager is accorded a significant degree of discretion over Asset Allocation and is allowed to invest up to 100% in equities at their discretion. Funds managed with the aim of delivering positive returns in any market conditions, but returns are not guaranteed. Funds in this sector may aim to achieve a return that is more demanding than a "greater than zero after fees objective". Funds in this sector must clearly state the timeframe over which they aim to meet their stated objective to allow the IA and investors to make a distinction between Funds on this basis. The timeframe must not be longer than three years. Funds which are only available for use in a personal pension plan or FSAVC (Free Standing Additional Voluntary Contribution) scheme. Present arrangements for Unit Trust personal pension schemes require providers to set up separate personal pension Unit Trust under an overall tax sheltered umbrella. These Funds then in turn invest in the group's equivalent mainstream trusts. Pension Funds are not to be confused with "Exempt" Funds which are flagged separately. when their direct property holdings fall below the 60% threshold for a period of more than 6 months, invest sufficient of the balance of their assets in property securities to ensure that at least 80% of the Fund is invested in property, whereupon it becomes a hybrid Fund. Funds that have an investment universe that is not accommodated by the mainstream sectors. 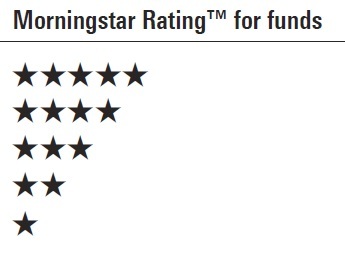 Performance ranking of Funds within the sector as a whole is inappropriate, given the diverse nature of its constituents. Funds which invest at least 80% of their assets in technology and telecommunications sectors as defined by major index providers. The Capital Protection IA sectors are shown below and you can click on any of the sectors to read a description of each. The Income IA sectors are shown below and you can click on any of the sectors to read a description of each. The Growth IA sectors are shown below and you can click on any of the sectors to read a description of each. The Specialist IA sectors are shown below and you can click on any of the sectors to read a description of each. The Income (Fixed Income) IA sectors are shown below and you can click on any of the sectors to read a description of each. The Income (Equity) IA sectors are shown below and you can click on any of the sectors to read a description of each. The Income (Mixed Asset) IA sectors are shown below and you can click on any of the sectors to read a description of each. The Growth (Equity) IA sectors are shown below and you can click on any of the sectors to read a description of each. The Growth (Mixed Asset) IA sectors are shown below and you can click on any of the Sectors to read a description of each. 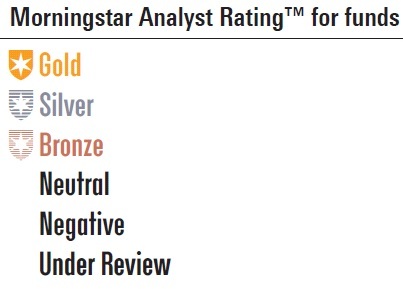 Morningstar first calculates a Fund's Portfolio Sustainability Scores, which is an asset-weighted average of the company ESG scores with deductions made for holdings involved in controversial incidents, or the Portfolio Controversy Score. 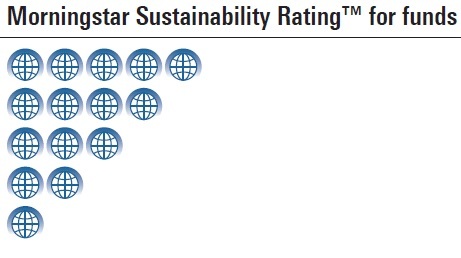 Morningstar then assigns a Sustainability Rating, which is the Portfolio Sustainability Score relative to Morningstar Category peers. We would love to hear what you think of our : explore area or if you have any questions or suggestions.